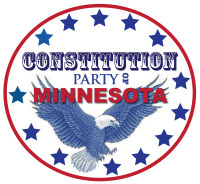 Become an official member of the Constitution Party of Minnesota. View our event schedule and read about past events. Volunteer with CPMN and help us spread the word about our party and candidates. Contribute to our prayer stream and start praying for our city and state officials. Join us every year at the Minnesota State Fair - stop by or volunteer. Use our database of educational links to help educate yourself and your loved ones about our government. Have a comment or question? Contact us today. Your financial support helps the mission to elect God-fearing individuals into all levels of government.